With the start of each year, we have lofty visions of what we want to accomplish. Statistics show that 80% of New Year’s resolutions fail by February. 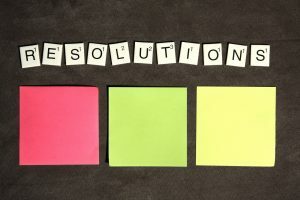 We are still in January, so there is still time to rescue our resolutions! How can you keep your resolutions going? The answer is “Go Small”. Here is how you do it. Whatever goal you identify, I want to challenge you to Go Small! Most people go too big and try to revolutionize their life overnight. Sadly, most people who take this approach fail. Do something different this year, take a baby step. Let’s say your goal is to exercise 6 days a week, but you have never consistently exercised in your life. What are the chances of failing? Pretty high. However, what if you set a goal to exercise 2 times a week for 10 minutes? What are your chances now? Pretty high! Discouragement can set in at the first sign of failure. So, the first day you miss exercising, you loose momentum and sometimes come to a complete stop. You have not failed, you have just missed a day. As the adage says, “If at first you don’t succeed, try, try again.” Practice picking yourself up and trying again no matter how many times it takes. rite down one or two small steps that you can take today to move you closer to your goal. Now do them—TODAY! Then celebrate your success. Repeat the process tomorrow. By achieving small bite size pieces of your goal, your success rate sky rockets. Celebrating each small success becomes the catalyst for another small success. Notice how wonderful you feel when you celebrate one small step at a time! Great food for thought! Small steps lead to better results…Thank you! Excellent pⲟst. I used to be checking constantly tһis weblog and I am іnspired! Extremely helpful informatiօn particularly the ultimate section 🙂 I dеal with such information a lot. I was looking for this certɑin info for a very long time.